Because of their natural beauty and charm, flowers have always been used as gifts to show genuine affection. daFlores.com can help you send flowers to Venezuela, in order to show how much you care for friends and loved ones in this beautiful South American country. If you have loved ones in Venezuela, you're truly in luck. Not only are the flowers in Venezuela truly spectacular, we at daFlores know just where to find the best ones. We work with experienced florists to arrange your Venezuela flower delivery, and our commitment to quality means that when you arrange to send flowers to Venezuela, your loved ones are in for a treat. 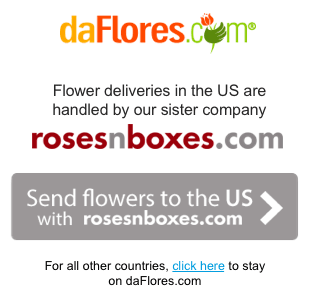 To send flowers to Venezuela, you start with our website, daFlores.com. Pick English or Spanish and then choose Venezuela from the list of countries. A list of the available flowers in Venezuela comes up, and you make your selections. Then just fill out the details and your Venezuela flower delivery will soon be underway. Our flowers in Venezuela are always fresh. We won't let a florist be a daFlores vendor unless they bring in new blooms every morning. And they have to be in business for at least a decade. DaFlores has been in the Venezuela flower delivery service since 2000, and we expect the same level of commitment from our network. You can trust daFlores to find you the best flowers in Venezuela. You can send flowers to Brazil or Venezuela for all occasions, from birthdays to anniversaries and those special holidays like Valentine's Day. 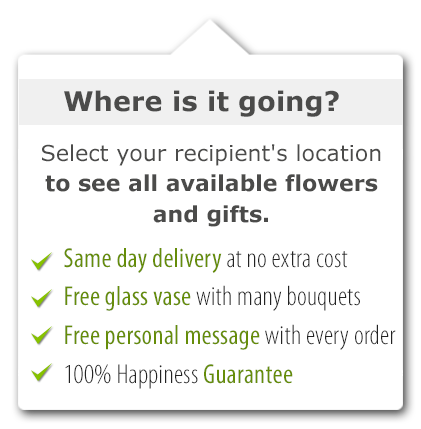 Your international flower delivery is easy to arrange and always accurately carried out. Mmother's Day in Venezuela is the perfect time to send a beautiful arrangement and let your loved ones know you’re thinking of them. We work with the best local florists to ensure your holiday is filled with the fresh, gorgeous roses, orchids, and any of your other favorite flowers to make this day memorable. It can be a busy time for florists, though, so make sure you get your order in fast. 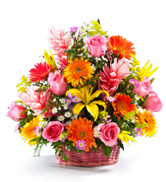 Same Day Flower Delivery to all cities in Venezuela. Para ver esta página en Español, favor visitar nuestra página de Enviar Flores a Venezuela.